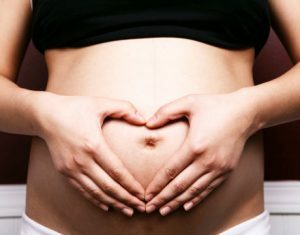 To celebrate International Yoga Day, Yoga Kula has teamed up with Sweaty Betty Leeds and Seraphine Maternity to bring you a fantastic pregnancy yoga workshop on Sunday 19th June. In this special ses sion we will be working with the theme of “PEACE” as we explore a blend of revitalizing and energising alongside a more soothing and calming restorative yoga practice that will leave us feeling at peace with ourselves and the world. We will begin with some simple meditation and breathing to balance and ground us in our bodies, whilst calming and soothing our minds. The breathing practices help to develop an awareness of the power of your breath and the connection between your body an d your baby. t maintaining openness and flexibility within the body. We will finish the session with a long deep relaxation and a loving kindness meditation, connecting not only with ourselves and our growing babies, but out into the wider world and all others practicing as part of International Yoga Day. There will be goody bags for all attendees as well as tea, cake and chat afterwards over the road at Seraphine, a great way to connect with other mums-to-be after class and perhaps even get a bit of shopping in. This workshop is free but spaces are limited so please book your space from Monday 13th June here.